USA - With over two decades at work at the roots of the sea, you might wonder if we are any closer to saving the mangroves. Mangroves have continued their decline, but the current rate is now half of what it was when MAP was established. While more efforts are being made to restore and conserve mangroves than ever before, we still need to do more. This is where you can help! The time has come to pass when our actions must speak louder than words! Your continuing support has helped us maintain an active and persistent presence along the coastal belts of mangrove nations. 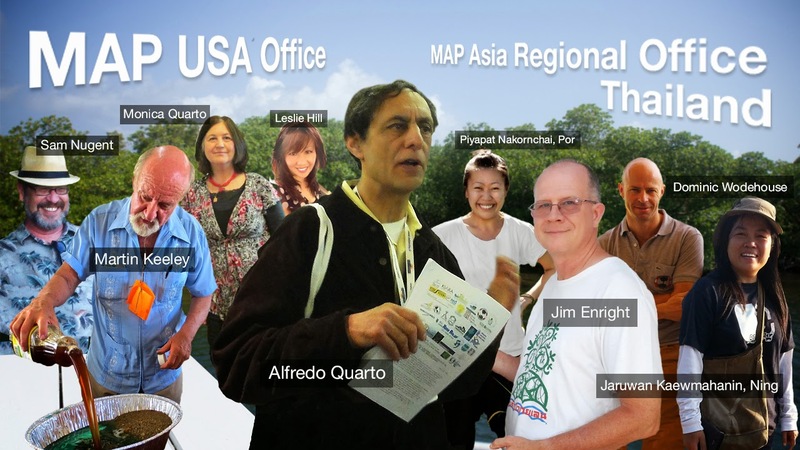 MAP started almost 23 years ago, and has since built up an active global network, while raising public awareness about the importance of mangroves. We have long been the mangroves’ advocate, and have worked tirelessly to conserve and restore these forest wetlands. Future generations may reap the bounty of our actions and thus thank you for your timely support. Editors Note : While MAP does not advocate the “simple solution” to complex issues, it applauds the innovative efforts of those to who put time and money into finding viable solutions to coastal reforestation. We advocate scientific consideration before adopting applications that may have long range ramifications. We include this story to illustrate a novel approach by those who share the desire of mangrove restoration. I have already informed you that we received the MAP calendar in our earlier e-mail on dated 8th Dec, 2015. Please note that we have received 8 of MAP 2016 calendar. We are planning to organize an award ceremony on date 19th December, 2015 to distribute the certificates to successful students. On this occasion, we have also plan to organise a discussion on subject “Why mangroves are important to my community” by involving various stakeholders. We will send you detail report after the completion of the programme. We have not been impacted by the flood in Tamilnadu , as we are based in Odisha state. Happy Holidays and cheerful Christmas! Last September, Ibrahima THIAM, Regional Director the International Union for Conservation of Nature invited Mangrove Action Project (MAP) executive director Alfredo Quarto to attend a special workshop in Dakar, Senegal organized by Wetlands International in partnership with (IUCN) from 05-06 October 2015. The workshop involved the Regional Mangrove Program under the aegis of the Marine Conservation in Western Africa whose purpose was to contribute to the conservation of mangrove ecosystems through the development of a vast and ambitious program involving international practitioners and decision makers with expertise in mangrove conservation and restoration. Alfredo was invited to present on MAP’s projects and efforts, where he emphasized two important tools that MAP hoped to share with others at the workshop, namely MAP’s Marvelous Mangrove Curriculum and our Community-Base Ecological Mangrove Restoration workshops. We were in dialogie with Mr. Thiam about the potential use of these two programs in W. Africa, beginning with a possible joint program in Guinea Bissau, where abandoned rice field that had originally been established in mangrove areas might be restored back to mangroves. 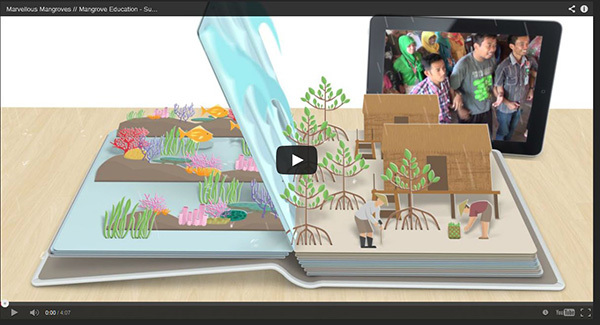 Since WI, Africa is involved in something called "green schools", where teachers introduce school kids to ecology issues, MAP hopes that our Curriculum could be a great boost for their efforts. Towards this end, Alfredo joined a fact-finding team visiting abandoned rice fields in Guinea Bissau/ Currently WI, Africa is considering 18 abandoned rice fields as likely candidates for mangrove restoration, which might involve MAP in both an active and advisory capacity. What do you do when mangroves fail to naturally recolonise abandoned rice fields in one of the most precious mangrove deltas of the world? 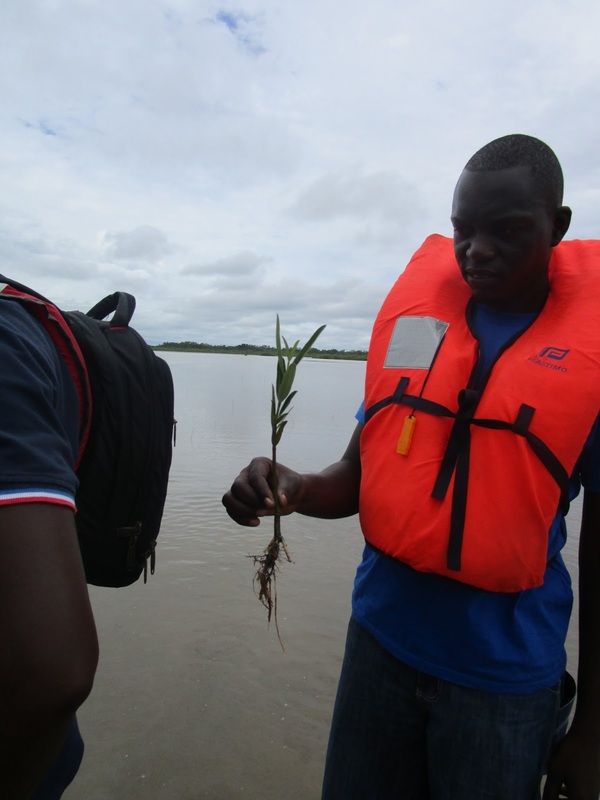 Pieter van Eijk reports on a recent mission to Western Africa that paves the way for large-scale mangrove recovery through a so-called ‘ecological restoration’ approach. 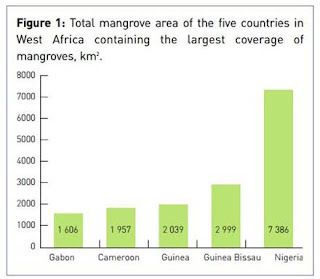 While small on a map, Guinea Bissau is one of the most sizeable mangrove countries in the world. Boasting no less than 300.000 hectares, on the African continent only Nigeria supports a larger area of mangrove forest. Providing fish, fuelwood and other resources, the mangroves are a lifeline to virtually all inhabitants of Guinea Bissau. Its coasts support the second largest concentration of migratory water birds in Africa while providing a safe home to sea-dwelling hippos and no less than 5 marine turtle species. 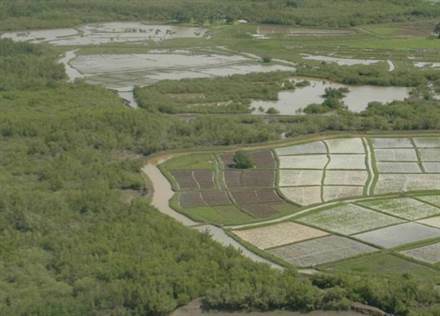 In the North of the country, Cacheu Mangrove park and its buffer zone, much of the mangroves have been converted for rice production, under a shifting cultivation system locally referred to as Mpampam. 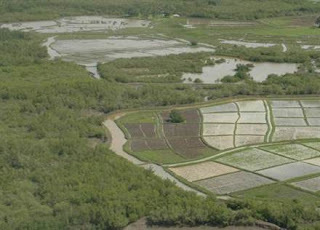 Upon their abandonment, many rice fields never turned back to mangrove forests, despite many local efforts to restore the area through active replanting. Thousands of hectares lay barren as wastelands with little ecological and socio-economic value. 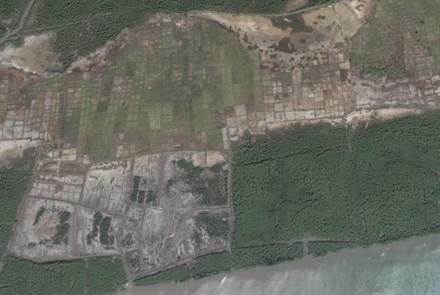 Why did the mangroves fail to recolonise the abandoned rice fields? And what can be done to support natural regeneration of the area, while minimising restoration trough active planting efforts? Can we turn these wastelands into wetland wonders? With these questions in mind I arrive in hot and humid Guinea Bissau. I will work on a plan for recovery of the delta´s mangroves and its natural values together with a team from Wetlands International, project partners and external expert Alfredo Quarto from the Mangrove Action project..
A few weeks before our mission we looked at an analysis of satellite images by consultancy agency Altenburg & Wymenga. The maps paint a clear picture of decades of destruction of the mangroves of Cacheu; we see a mosaic of blocks of intact mangroves, alternating with bare patches of soil, that seem devoid of life. Grids of small dykes and drainage canals separate the blocks. From outer space Cacheu looks like a Mondriaan painting. 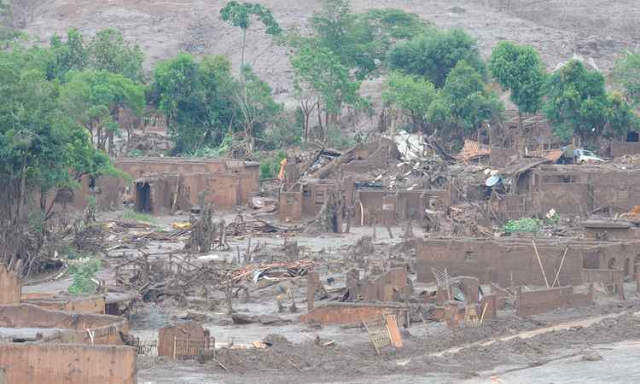 In some blocks mangroves have revived, but in many places they fail to return. The solution seems simple: by removing some of the dykes that block the tidal flows and by bringing back some former creeks into the system it should be easy to bring back the tides and create a thriving mangrove forest. Google Earthimage showing active and abandoned ricefields. Some of these have recovered, while others remain idle. As always reality is harsh: as our speedboat buzzes through the mangrove creeks we notice that most dams have been breached through natural erosion. The current hydrology seems to favour mangrove growth in most places. This means that something else must prevent the seedlings from establishing. Wading through a former rice field we notice that the soil turned from a muddy substance into a hardened crust. Have years of desiccation during droughts and intense agricultural use, prevented the vulnerable roots of mangroves sailings from penetrating the soil? Or do large scale changes in river flows and local level drainage cause salinity levels that are too high for mangroves to withstand? Even scarier thoughts cross our mind: given its geological history Cacheu might well be home to so-called acid-sulphate soils. Drainage and subsequent exposure to oxygen, triggers chemical processes that turn these soils highly acid. We do not know what’s going on. 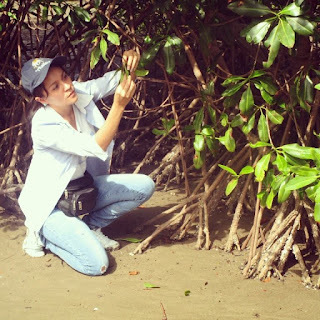 These observations demonstrate the complexity of mangrove restoration. Too often the ‘mangrove community’ turns to active planting, without considering the conditions required for healthy mangrove growth. As a result the majority of mangrove recovery projects across the world has failed. Trees die, or grow in a stunted manner, yielding very low ecological and economic values. Successful mangrove recovery requires us to ‘read’ the system. To understand how we can put hydrology, soil quality and sediment dynamics back in place. In our project we will do exactly this: find out how we can restore the mangroves through ‘ecological rehabilitation’, an approach that focuses on restoring enabling conditions to natural mangrove recovery. Using the assessment of satellite images as a starting point, we will map hydrology, salinity, acidity and a number of other parameters across the delta, and try to understand how we can turn the buttons of the system. For example by flushing the soil and restoring water flows. Or by breaking up the hardened top soil. Working with the government and local communities themselves we want to bring back the mangrove treasure trove on which they so much depend. And secure the foraging and breeding grounds of the diverse wildlife. Not just in Cacheu, but across the region. Just to let you know my article on mangroves and their importance to climate change will be posted on the BluePlanet blog. You can preview it here on our blog.